Flutter App Development: The Trending Cross-Platform Mobile App Development Framework. Smartphones are so omnipresent in our lives that we can’t imagine our world without it. We accomplish many things using smartphones and various mobile apps. From ordering grocery and food to finding doctors and life partners, we include smartphones in almost everything we do in one way or the other. That is the reason all the businesses and startups are compelled to go mobile through various mobile app developments and Flutter app development is trending right now for cross-platform mobile app development. Here lies a huge dilemma for all businesses. iOS and Android dominate the smartphone world. They run more than 90% of smartphones. If a business wants to offer its products and/or services through smartphones, it has to be present on both platforms. Android runs more than 65% of smartphones and no business can afford to ignore such a huge portion of the market. On the other hand, iOS comes second in terms of the number of devices it runs but iOS users top the list of spending money through smartphones. That is the lucrative part of the market and no business can afford to ignore such a lucrative portion of the market too. So businesses have to have two separates mobile apps. That means they have to pay for two mobile app development teams and maintain them both. Is there a middle path? Both of them are promising frameworks and deliver as advertised. Nonetheless, the success of any mobile app development framework depends on many factors. Mobile app developers are among the dominant factors and they seem to be preferring Flutter app development. There are plenty of reasons why Flutter app development is trending among developers. There is no wonder Google is pushing Flutter a lot as it has invested a lot of time, money and efforts into Flutter development. In addition, Google practically rules the internet in terms of search and discovery, so Flutter is going to trend without any doubt. But there are more reasons for it than the dominance of Google alone. Flutter is based on Dart, a language brewed in Google’s own lab. While developing Dart, Google made a point of keeping it simple and close to natural language. So, any developer with the knowledge of a single object-oriented language such as Java or C++ would be at ease while learning Dart. The success of any coding language or framework depends on coders and Google has made their job easy so Flutter app development is trending. Flutter app development saves a lot of time of coders. Take, for example, the Xamarin app development. Creating a UI is a time-consuming process there. On the contrary, Flutter offers various widgets and allows developers to develop dynamic UIs quite easily and quickly. Hot Reload is another feature which saves a lot of time of developers. It allows them to load builds within milliseconds. As a result, they are able to experiment, fix bugs and add features quickly. Flutter allows reusing codes in quite an easy way. Developers can reuse as much as 95% of the codes for both Android apps and iOS apps. They can also reuse 60% of the same codes for web development too. And Hot Reload helps them see those changes in action quickly. Documentation of Flutter app development is well organized. As it is an open source framework, it has a buzzing community of open source enthusiast. They keep expanding and organizing the documentation. When it comes to problem-solving, the community of developers is always there to answer your queries. So, there is no wonder Flutter App Development is trending and outpacing all the other cross-platform mobile app development SDKs. If you leave Flutter app development in the hands of an experienced mobile app development company, you will be able to save a lot of time and money without compromising the quality of mobile apps and codes. Equitysoft Technolabs is such an experienced full stack mobile app development company that is equally experienced in web development too. We have dedicated teams for Android app development, iOS app development, cross-platform Flutter app development and web development. 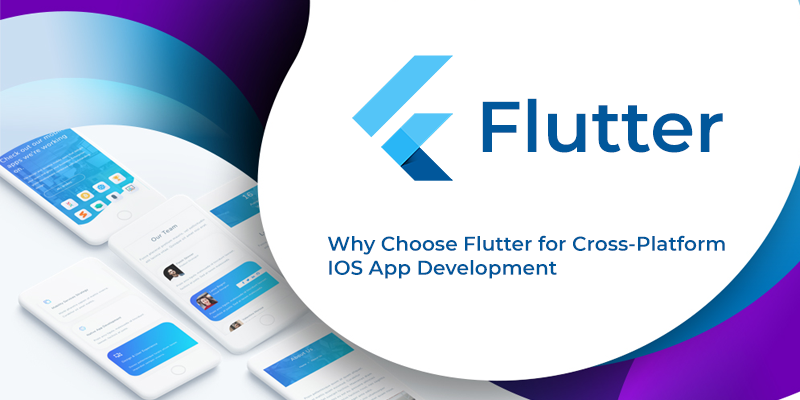 Our dedicated team of Flutter app development has developed various cross-platform mobile apps which are all live in the App Store and the Play Store. If you want to take your business on mobile, contact us to know more, have creative inputs and a quote within your budget and timeline. A leading Mobile App development company in Gujarat, India. We Offer Professional, Mobile Apps, Creative Web Design and Development Services and Game Development.